Natalia Azoqa‘s exit was a bit more pronounced and different, but unexpected all the same. 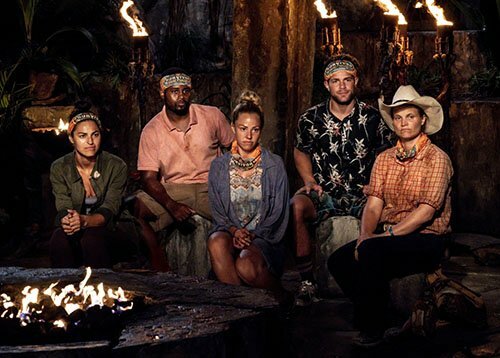 It was all good news for Goliaths after the tribe swap gave them the majority advantage at all three of the newly formed tribes, but Natalia was not resting on her laurels. She seemed tight with fellow Goliaths Kara and Alec, but she was definitely the most paranoid of the three, noticing that she wasn’t quite fitting in as well as some of her other former tribe mates. All seemed good in the hood though, because it would take a massively stupid, idiotic “big move” in order to disrupt the Goliath’s majority…but in this game you just never know. Alec – unbelievably – followed a “gut” feeling and decided to upset the apple cart. He didn’t do it with too much style either, whispering into the ears of several of the other players at Tribal, and making a big, confusing scene that didn’t have to be. When all was said and done, Alec inexplicably decided he would side with the two Davids, and blindsided Natalia…and for what? With Carl coming back into the game from Exile and joining their tribe, Alec just literally voted himself into the minority at his camp. 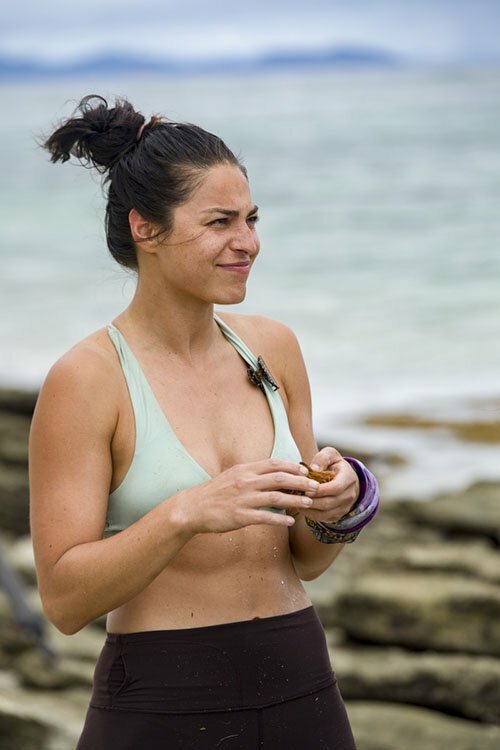 But left to ponder and make sense of the night’s events was Natalia, who gave one of the most spirited – and angriest – walk-outs in Survivor history. Bi Nguyen: So after the challenge we had the medical team take a look at it, and Dr. Joe said it was sprained, it was inflamed, but it was not a tear so he was not medically evacuating me. We wrapped it up, went back to camp, and I spent the rest of the day trying to make my decision, trying over and over in my head to figure out how bad it was, the risk I was taking, and how bad I wanted to stay…I woke up [the next morning] and it was inflamed, it was huge, it was painful and so I made the decision that morning. Bi: I can’t fault Jeff [for calling it a quit] because it is what it is, but also I feel like I was forced out of the game due to my injury. I feel like it was an impossible situation for me, so I hate that, I hate that everyone is saying I quit, I hate that it’s categorized that way. But in my heart and in my mind, I know what it was, and people that know me and my career and all my fans know that I was forced out of that competition due to injury. Technically, it wasn’t torn, but I couldn’t take that risk. Natalia Azoqa: I mean you tell me, I don’t even know (laughs)…to be honest I [think it was just a stupid move]. 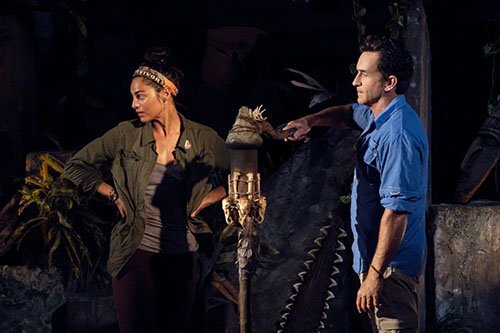 I really think that he thought he was making a solid move in Survivor history and he wanted to look like he was making big moves for our tribe, because Natalia was getting too bossy and he didn’t want me to be in control. I really do think it was something like that going on in his head, maybe in the back of his mind, but he wanted Davie out and I didn’t want Davie out. For much more from both Bi and Natalia, including my full interviews, please listen to the latest episode of the FilmSurvivor Podcast by clicking here. TELL US: WHAT DO YOU THINK ABOUT BI AND NATALIA’S EXITS?